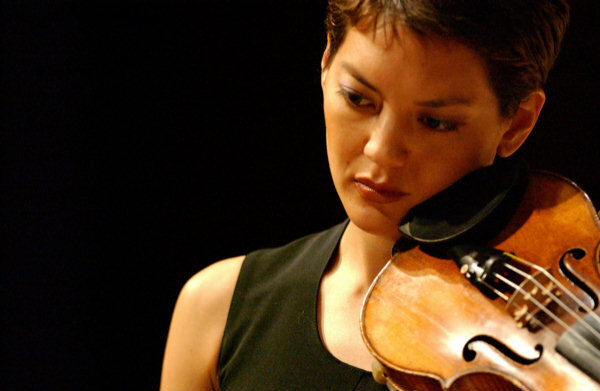 Anne Akiko Meyers Gives Austin Prokofiev with Passion! It was just over a year ago that Austin music lovers last heard Anne Akiko Meyers (photo: above) in an imaginative and brilliantly played recital at the Butler School of Music at the University of Texas. Meyers had recently been appointed to the faculty at the school and – with a baby on the way – she and her husband had decided to move to Austin. What a coup for the school, its students and Austinites! We all looked forward to hearing Meyers on a regular basis; unfortunately, even the most carefully planned relationships don’t always work out. Meyers and the Butler School of Music couldn’t find a way to live with each other. After hearing Meyers again last month, on this occasion performing Prokofiev’s Violin Concerto No. 1 with the Austin Symphony, I have to think that the school has greatly diminished itself by letting this superb artist get away. Prokofiev’s Violin Concerto No.1 is a masterpiece by any standard. I often think of it as the violin concerto Debussy would have written – had he been Russian. From the opening bars, it weaves an impressionistic aura of ever-changing colours, combining the solo violin with various winds; so it ends too, while in between we have a wider range of tempi and moods. I last heard this piece in concert with Midori, who spun the long lines with great beauty and delicacy but altogether missed the passion. It was Meyers who reminded me that, to really get inside this piece, the soloist can’t be afraid to dig into the strings of her instrument, even at the expense of some of the tonal beauty. Meyers is a forceful personality on stage and, when necessary, plays with intensity and abandon. No doubt her instrument – the “Ex-Napoleon/Molitor Stradivarius” – factors into what we hear, but it takes a great artist to get the best out of even the finest instruments. Meyers’ intonation was a little shaky in the beginning, but she soon settled down and proceeded to give us a virtual master class in bowing technique - not to mention the pizzicati that resounded like rifle shots out in the hall. Meyers was very attentively accompanied by conductor Peter Bay and the Austin Symphony. The orchestra is often in the background in this concerto, but what it has to say is always important and often difficult to play. This was an impressive performance by all concerned, with Meyers consummately authoritative in the solo part. While Meyers stole the show on this night, the rest of the concert was also very fine. As I don’t recall having previously heard any Haydn from Peter Bay and the Austin Symphony, it was a pleasure to see his Symphony No. 93 on the evening’s programme. Bay made no attempt at period performance style – apart from using solo strings to start the slow movement – but, nonetheless, crafted an excellent performance. The execution of this symphony, to my taste, could have been a little more earthy and robust, but to render so much detail accurately in this repertoire is no small achievement. Bay even managed to deftly elicit some appropriate audience laughter from the rude noise in the slow movement. Bay chose his tempi well, and balances were very good; I do wish, however, that trumpets and timpani had managed to get their triplets together more consistently in the Trio of the Menuetto. If Haydn symphonies are rarely played in Austin, I would guess that Stravinsky’s Petrouchka, a virtuoso challenge for any orchestra and conductor, turns up just as infrequently. Fortunately, Bay and most of his players have the technical chops to handle this piece with ease, and much of it sounded first-rate; that said, there was some pretty messy brass playing as well. Next Time a Multi-Media Petrouchka? At their last concert, the Austin Symphony (ASO) had presented a multi-media version of Dvorak’s New World Symphony, a piece that scarcely needed the multi-media treatment, whereas, to my mind, audience appreciation of Petrouchka (ballet music) would have been greatly enhanced with some projections indicating what was being depicted in each of the four scenes played. Last season, the ASO presented Strauss’ Don Quixote with surtitles for each of the episodes of the tone poem, and something similar with surtitles and pictures would have been very helpful on this occasion. As a ballet score Petrouchka is wonderful, but in concert it is apt to sound episodic and unsatisfying. The ending works perfectly for the ballet but is odd and inconclusive in a concert setting. Anne Akiko Meyers may have parted company with the University of Texas, but she still lives in Austin. She now has a 7-month old daughter (Natalie) with whom she travels widely. Meyers has recorded the Prokofiev Violin Concerto No. 1 and produces several new albums every year. For more about Meyers and to follow her blogging, visit her website. Paul E. Robinson is the author of Herbert von Karajan: the Maestro as Superstar, and Sir Georg Solti: His Life and Music. NEW for friends: The Art of the Conductor podcast, "Classical Airs." This week marks the opening of the annual New Creations Festival at the Toronto Symphony Orchestra. There will be three concerts from March 2 to 10 at the TSO featuring works by Gary Kulesha, Vincent Ho, Mason Bates, Jennifer Higdon, R. Murray Schafer and John Adams. 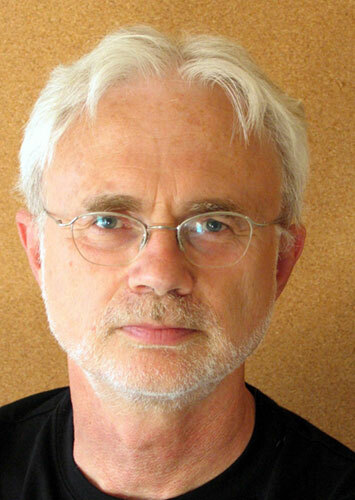 Kicking off the festival this Wednesday are two works by John Adams, the first of which is Harmonielehre, or German for "study in harmony." It is also the title of a book by Arnold Schoenberg. As the title suggests, this piece is an intricate interplay of Adams' minimalism with Schoenberg's atonality. Unlike the typical minimalism of Philip Glass, you'll notice in Adams the repetitions have more variations in rhythms and tempi, a trademark of what Adams calls 'post-minimalism.' There is a recording of this with conductor Sir Simon Rattle on the EMI label. You can experience it on Youtube at http://www.youtube.com/watch?v=AUiv0jJl9zU The second Adams work has the intriguing title Short Ride in a Fast Machine. Commissioned by the Pittsburgh Symphony for the Great Woods Festival in 1986, it is one of the most frequently performed piece by Adams. Interestingly, performance of this work was pulled twice, once at the time of Princess Diana's fatal car crash, and then again during 9/11, simply because the title was considered 'inappropriate.' Go to http://www.youtube.com/watch?v=Pi4A9bPDvTc for a hearing. You will notice with its pulsating rhythms a certain stylistic affinity with Harmonielehre, given that both are from the same period. Also on the Wednesday program is The Shaman, a piece by Vincent Ho for percussion and orchestra, performed by the best known percussionist of our generation, Dame Evelyn Glennie. There'll be an intermission feature when Canadian composer Gary Kulesha chats with both Adams and Ho. Earlier on Wednesday, a free noon-hour concert will take place at the Richard Bradshaw Amphitheatre at the Four Seasons Centre. Former Canadian Opera Company Ensemble Studio artists soprano Betty Allison and baritone Peter McGillivray will sing selections from Adams' vocal music, including pieces for Doctor Atomic, Death of Klinghoffer, Nixon in China, and Flowering Tree. Unfortunately there is no pdf file of the program. I hope McGillivray will sing 'Batter My Heart', a truly stunning aria from Doctor Atomic. Adams will be there to introduce and discuss the piece - an event not to be missed! Be sure to line up at least one hour ahead to ensure a seat. On Thursday March 3 at 7:30 pm, John Adams will give the Geiger Torel Lecture at Walter Hall, Faculty of Music, University of Toronto. For more information, call 416.978.3744. On Saturday March 5 at 7:30 pm, the TSO presents Electonica Meets Orchestra. The centerpiece will be City Noir, a TSO co-commission and Canadian premiere of Adams' newest work. According to the publicity material, this piece "evokes the moody, late-night streets of post-WWII Los Angeles.' Also on the program are Torque by Gary Kulesha and Liquid Interface by Mason Bates.